WEST LAFAYETTE, Ind. 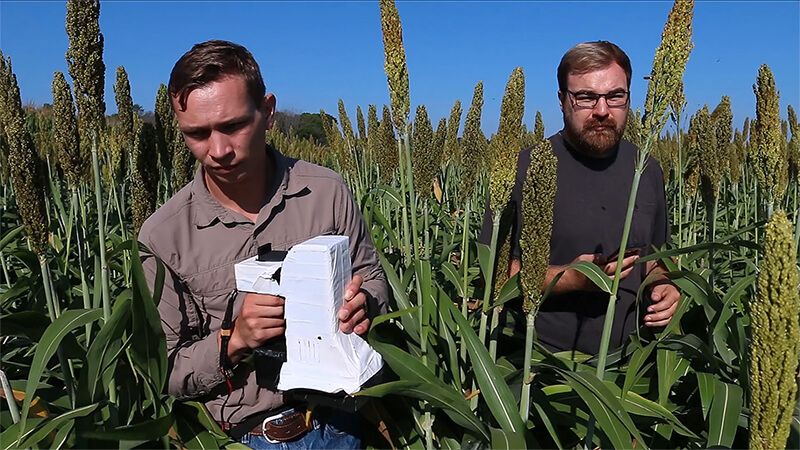 – A Purdue University professor has built an innovative handheld sensor that gives plant scientists and farmers a more precise way of measuring the health of crops while gathering up-to-the-minute data that state and federal officials and others will find valuable. Jian Jin, an assistant professor in Purdue’s Department of Agricultural and Biological Engineering, hopes his hyperspectral-imaging device will be used widely by plant scientists and farmers nationally and internationally. The device scans a plant for physiological features, such as moisture, nutrient and chlorophyll levels, as well as different chemical spraying effects and disease symptoms to determine whether it is healthy or under stress. A video about the sensor is available at https://youtu.be/xXDcZCDaIek. Jin said the hyperspectral-imaging device he built will help farmers detect changes in plant health in the field hours to days before they are visible to the naked eye. It also will allow farmers to make necessary changes to grow more food using fewer resources, such as by reducing fertilizer and water use. This technology aligns with Purdue's "Giant Leaps" celebrating the university’s global advancements made in health, space, artificial intelligence and sustainability highlights as part of Purdue’s 150th anniversary. Those are the four themes of the yearlong celebration’s Ideas Festival, designed to showcase Purdue as an intellectual center solving real-world issues. The sensor, which can scan a plant in less than five seconds, can detect hundreds of bands of color in each pixel compared with the three bands of color detected by traditional cameras. One version also shoots a burst of fluorescent light off the plant. Both are used to measure stress and nutrition levels of the plant. “We implemented both the hardware and software technologies into a handheld device that is light and easy to carry,” Jin said. The sensor integrated the advanced image processing algorithm and plant features prediction models developed by Purdue scientists. These models were developed with Purdue’s database containing years of plant research assays in both greenhouse and field. The models are also constantly improved and updated. “So we always have the most accurate predictions for the farmer,” Jin said. There has been a rapid development of plant phenotyping in the past decade as technology is increasingly being used to improve efficiency based on current conditions instead of farmers relying on regional conditions and historical data to make decisions. Most farms manually check plant health, which lacks precision and efficiency. Jin said his sensor is more precise than current devices used by plant scientists that clamp down on a leaf and measure the health of only a portion of the plant. Although the sensor is self-contained, the users also have the option to upload the measurements with geo-locations to a web-based cloud map service developed by Carol Song and her team at Purdue’s Advanced Computing Group. The system generates plant stress and nutrition heat maps based on the sensor measurements, and provides interactive ag data querying functions at both farm and regional levels. This digital ag map system with sensor data can support many potential applications. For example the data collected will provide valuable information to state and federal officials about steps they can take to help farmers during severe crop stress periods as well as information about what types of crop yields can be expected. “If we can successfully distribute the sensors around the region, we can generate this digital ag map service to monitor the plant growth all over the region — which areas are under stress and which areas are having a good performance,” he said. Jin’s group at ABE is working on automation of this device. He and his graduate students worked last winter with a senior design group from Purdue’s School of Mechanical Engineering and successfully implemented a robot to scan the leaves with the sensor automatically in the greenhouse. The robot utilized machine vision to recognize the target leaves and carry the sensor over there for a quick scan operation along the leaf’s natural slope. Encouraged by the success in the greenhouse, Jin and his team is moving on for the design of the next robot in the farm field environment. The robot system may look like a spider transformer: It travels between crop rows, with each leg equipped with a sensor, waving and scanning leaves in the field with a very high speed. Jin expects the prototype to be functioning during the 2019 growing season. Jin is looking for collaborators who could lead in commercializing the device, especially in marketing and mass manufacturing. He believes making the devices low-cost might be the best approach, with the data being where the value is. The Purdue Office of Technology Commercialization has filed three applications for provisional patents for the technology. The Purdue Office of Technology Commercialization operates one of the most comprehensive technology transfer programs among leading research universities in the U.S. Services provided by this office support the economic development initiatives of Purdue University and benefit the university's academic activities. 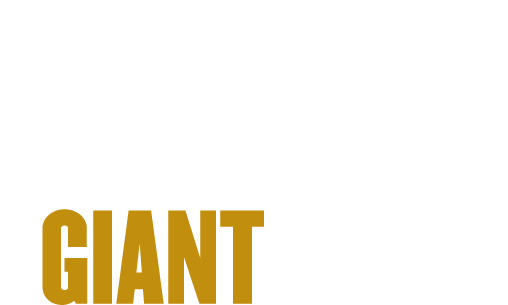 The office is managed by the Purdue Research Foundation, which received the 2016 Innovation and Economic Prosperity Universities Award for Innovation from the Association of Public and Land-grant Universities. For more information about funding and investment opportunities in startups based on a Purdue innovation, contact the Purdue Foundry at foundry@prf.org. For more information on licensing a Purdue innovation, contact the Office of Technology Commercialization at otcip@prf.org.